We use UK ring sizing measuring rings from A (the smallest) to Z. Half sizes are also available to help you find the perfect fit. 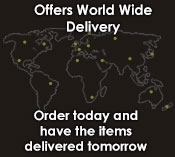 We stock a wide range of sizes, but if we don�t have your size in stock we can order it especially for you. A ring with a deep band width will need to be slightly larger than your normal size, so keep this in mind when choosing your ring. Please state finger size where possible when purchasing a ring from our website or contact us prior to placing your order and we will advise if it is possible or not. If the ring is a present for someone else we suggest that you purchase the ring in it's current size. We can adjust it to the correct finger size once the ring has been gifted to the recipient. Depending on their design many rings can be resized. Rings with a specific number of gemstones such as full eternity rings cannot be resized. Here at Adamas Antique Jewellery we realise that not everyone knows the size of the finger they are buying a ring for. Having your finger measured in our showroom is the most accurate way to find out your ring size.